You don't need everything on this page. In clinical psychology (Unit 2), the Examiner expects you to know an example of a case study and be able to evaluate it. However, the Board doesn't specify any particular case study so you won't be asked about Bradshaw or particular aspects of the study (like the checklists used or Carol's background). It's up to you to decide what you can use. In Unit 2, the Clinical Application requires you to know an example of a case study. The Edexcel Specification suggests a study by Anais Lavarenne, but I'm teaching this classic by William Bradshaw. I will put up the Lavarenne study at a later date for those who prefer to stick to the Specification's suggestion. This case study was carried out by William Bradshaw(left), investigating a young female patient with schizophrenia referred to as "Carol" (not her real name). 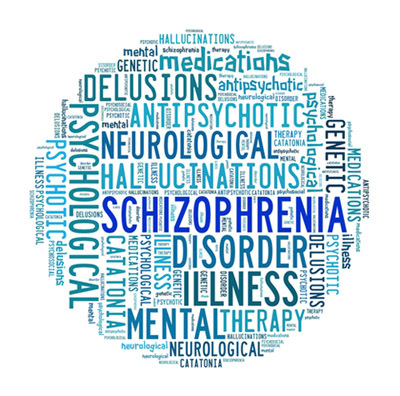 It was a key piece of research that established that cognitive behavioural therapy (CBT) might have a role in treating schizophrenia, whereas before it had been regarded as inappropriate for psychotic illnesses. It shows how scientific research proceeds, because, before this case study, psychologists assumed that CBT would be inappropriate for patients with psychotic disorders who struggled to tell what was real and what was not. The study was of a 26-year-old white female participant (Carol). Carol had started her first year at university. She came from an upper middle class family and was the third of five children. There was no history of psychiatric illness in the family. Carol was a good student, shy but with several friends. During her first year at college, she began to experience auditory hallucinations and delusions. She withdrew from people and acted in a bizarre manner. Carol was hospitalised many times and was diagnosed with undifferentiated type schizophrenia. When she left hospital, Carol was assessed on the Global Assessment of Functioning (GAF), which rates how severely her schizophrenia affects her. She was assessed at 30 (out of 100). "30" on the GAF is a really low score - Carol was in bad shape. You can find out more about the GAF below. Carol was diagnosed using DSM-IV. The new version, DSM-5, doesn't split schizophrenia into different types and doesn't use the GAF. Carol was taking thorazine as an anti-psychotic drug. She moved back to live with her parents, couldn't work or function independently and was completely withdrawn. Her psychiatrist referred her for psychotherapy to help her cope with community living and managing the illness. Carol began a course of cognitive behavioural therapy (CBT). To investigate how CBT can be used to treat a woman with schizophrenia. This is the study of an attempt to use psychotherapy to treat schizophrenia where drug treatment had previously been preferred — there had been little evaluation of the use of CBT for schizophrenia. One adult female, Carol, aged 26 at the start of the case study. Carol suffered from schizophrenia. You will probably have spotted that Carol is not a typical schizophrenia patient. It is much more normal for males to develop schizophrenia in their teens or early twenties than females (who tend to develop schizophrenia later in life). Carol has a lot of social support from her family and there is no family history of psychotic illness. This is a prospective case study, because it tracks Carol's progress over 3 years of CBT and follows up her progress 6 months after the therapy and again a year after the therapy. Psychosocial functioning (general mental health) was measured by a Role Functioning Scale (RFS). This is a checklist which gives a score for work, social life, family relationships and independent living then totals them all together. The Goal Attainment Scale (GAS) measured how many of the goals she agreed with her therapist Carol was meeting. These might be things like cutting down on medication, coping with hallucinations, getting a job, etc. Hospitalisations were measured by the number of times Carol was admitted back to hospital. Progress of symptoms was also measured on the Global Pathology Index (GPI). This is an 8-point scale ranking how severe the symptoms of schizophrenia are. Carol's baseline score of 7 indicated severe problems: inappropriate mood, hallucinations and delusions, impaired judgement, disorganised thinking and inability to care for herself. Rapport means honest and trusting communication. It involves genuineness, respect and empathy. CBT sessions lasted from 15 minutes to 1 hour and Carol and her therapist often went for a walk together. To help to build a rapport, the therapist disclosed his own problems and interests in order to get Carol to talk about hers. It turned out that both of them shared an interest in softball. Helping Carol to understand CBT and to decide on treatment goals took about 2 months. This involved educating Carol about schizophrenia and how it might be treated. Schizophrenia can involve a vulnerability to stress, so the focus was on improving ways of coping with stress. The ABC model (Ellis, 1957) was used: understanding an activating event (A) that triggers stress and its emotional consequences (C). Carol reflected on her thinking or behaviour (B) that could have led to those emotional consequences. For the first year the focus was on managing stress and anxiety. If Carol's parents (with whom she lived), asked her to do anything, Carol's hallucinations increased and so did the delusions. She would cope with the stress by withdrawing to her room. CBT helped her to build better coping strategies, like meditation. A lot of the therapy was on faulty attributions - Carol's belief that things were hopeless needed to be challenged. A weekly activity schedule helped her to cope with loss of daily structure after leaving hospital. She was asked to record what she did during the day, so that she and the therapist could review her daily life, recognise the signs of stress and come up with different strategies. The “middle phase” involved 16 months of building more strategies to cope with stressful social situations. The focus was also on Carol's fear that she would suffer a relapse and have to go back to hospital. Finally, there was an “ending phase”, which lasted about 3 months. Carol developed plans to maintain the treatment without the therapist. For example, Carol wrote cue cards with coping strategies summed up on them and the she would review these each day. You don't need to know too many details about Carol's treatment for this study - but they make a good example of a therapy for schizophrenia in action. Carol showed improvement in psychosocial functioning, achievement of goals, reduction of symptoms and reduction in number of hospitalisations - in fact, she was never re-hospitalised. This improvement was still in evidence a year after the therapy finished. At the conclusion of the study there were few symptoms and Carol reported little distress. After 1 year, RFS was stable at 27 (she had scored 6 at the start). At the end of the study, Carol's GPI score of 1 indicated there were few symptoms present and she reported little distress. GAS increased from 19.85 to 80.15, which shows that treatment goals had been attained. Goals included starting a college course, taking on a volunteer job and going out once a week with friends. You don't need all of these results: just learn one or two examples of Carol's improvement. Carol experienced improvement in functioning in all four measures after a 3-year course of CBT. Bradshaw concludes that CBT can be successful in treating schizophrenia. Remember that CBT wasn't being used on its own. Carol and the other clients were also taking ﻿anti-psychotic medication﻿ as part of an "integrated treatment". It is hard to generalise from Carol to other schizophrenia sufferers. This is partly because she is female (the disorder presents differently in males) and partly because Carol's type of schizophrenia (undifferentiated type) is not the only type of schizophrenia and CBT might not be so effective with other types. Even as a female sufferer, Carol is unusual. She is much younger than normal for females with schizophrenia (who tend to present the disorder in their 50s), comes from a supportive family background and has no family history of mental illness. Bradshaw & Roseborough (2004) did assess "the utility of CBT of schizophrenia" and found it effective over 80% of the time. Many details of this study are hard to replicate, in particular the rapport between Carol and her therapist. Rapport is always a unique thing and other clients might have a much worse (or a much better!) rapport than Carol. In other ways, the study was highly replicable. 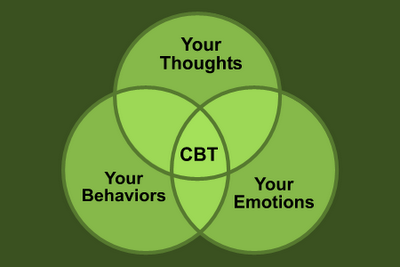 The CBT therapy follows a standard procedure pioneered by Aaron Beck. The measures of mental health like the GAS, the GPI and the RFS are all well-established tools used by psychiatrists. Carol's symptoms were checked against the DSM (4th edition). The same measures were used at the start of the study, 3 times during the therapy and twice afterwards: this is test-retest reliability. The main application of this study has been to promote the use of CBT to help treat patients with schizophrenia. The advantage of CBT is that clients can lower their dependency on anti-psychotic drugs (which have severe side effects) and even give up on drugs altogether. However, the treatment is only available to about 10% of sufferers in the UK. This case study delivers both quantitative data about Carol (her scores on RFS, GPI and GAS) and qualitative data (her walks, her volunteer job, the change in her self-esteem and view of herself as someone with a future instead of "a mental patient"). Because it took place over 4 years, we can be sure we are seeing real changes in Carol, not behaviour put on for the benefit of the researcher (demand characteristics). Bradshaw has respected the young woman's dignity and privacy by concealing her real identity and using the pseudonym "Carol" instead. There are issues of consent here. Carol was in far too bad a state at the start of the study to consent to sharing details of her progress with the researcher. Therefore, presumptive consent was obtained from her therapist and family. However, at the end of the study, Carol was much healthier and could give full informed consent for her data to be used. Here's Neil Sedaka singing "Oh! Carol". A 8-mark “evaluate” question awards 4 marks for AO1 (Describe) and 4 marks for AO3 (Evaluate). You need a balanced conclusion for top band (7-8) marks. Case studies tend to be high in validity because they collect in-depth descriptive data, often over a long period of time. An example is Bradshaw's case study of Carol, which investigated how she responded to CBT for treating her schizophrenia. The qualitative data in case studies produces great understanding of the participant. For example, Carol developed a rapport with her therapist. They went for walks together and talked about their interest in softball. This intimacy can lead to problems if the researcher loses his or her objectivity and starts to regard the research participant as a friend. This didn't happen in the case of Carol because her progress was assessed on objective measurements like the GPI (for symptoms), GAS (for achieving goals) and RFS (for psychosocial functioning). Case studies in clinical psychology can demonstrate the effectiveness of new treatments. At the start of the study Carol was not able to function independently but 3 years later she was very healthy and this improvement was still in evidence a year after the CBT ended. In conclusion, case studies make a contribution to clinical psychology because they suggest new areas of research or treatment. Before Bradshaw's study, CBT was not regarded as suitable for psychotic patients but now it is part of the IAPT programme on the NHS to make psychotherapy available to more people. Notice that for a 8-mark answer you don’t have to include everything on Carol. I haven’t mentioned her background or hospitalisations. I haven't evaluated the studies in terms of generalisability. But I have tried to make the two halves – Description and Evaluation – evenly balanced.